More is better right? Especially when we are talking beady inspiration, eye-candy, sharing and general mayhem…. 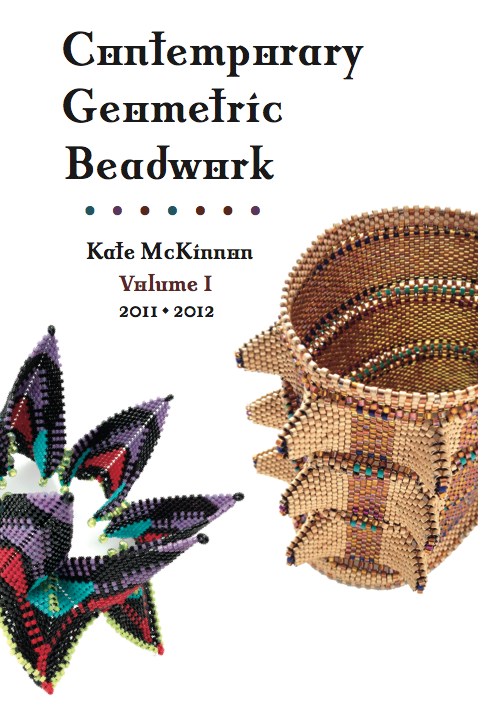 Be sure to visit the Contemporary Geometric Beadwork blog for ongoing information on the progress of the interactive release of CGB Volume 1 and the progress of Volume 2 (which we hope to complete by year-end). Check out our Facebook page for many exciting renditions by beaders world-wide, using the techniques and concepts explored in CGB. Feel free to email us (good quality) photos of your own explorations – who knows? You may just end up in Volume 2! Beautiful book and original projects but I have a problem….. How do I do to know how many units I need for making a MRAW Bellyband ? How can I do to make my own patterns ? There is a site ? By all means check out our FaceBook Page and the blog, too. Lots of interactive fun and eyecandy, with many MANY ideas to try out. If you have the book, we have a few sizing tips in the Basics section, as well as in each technique chapter.